I’ve got some past experience with long distance hiking, so I’d like to think this list won’t change much. It will though, I’m sure – already considering going stove less at some point in the hike, following Sara’s lead. For now, this is what I plan to take with me on my 2017 northbound attempt. A little weight will be added in the Sierras for the BV500 , Kahtoola MICROspikes , CAMP Corsa Ice Axe , and possibly snowshoes, depending on snowpack this year. 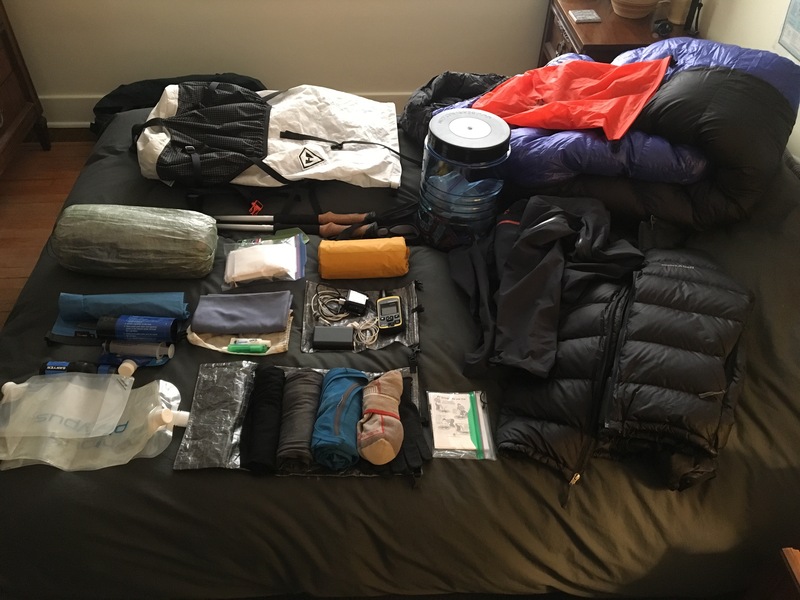 Since this year is a little unusual weather wise, we will determine what gear to bring when we hit the Sierras sometime mid June.